Abnormal thyroid function tests without any clinical symptoms. Common hypothyroid symptoms include fatigue, low energy, weight gain, inability to tolerate the cold, slow heart rate dry skin and constipation. Common hyperthyroid symptoms include irritability, weight loss, fast heartbeat, heat intolerance, diarrhea, and enlargement of the thyroid.In both hypothyroidism and hyperthyroidism, there may be swelling of a part of the neck, which is also known as goiter. Diagnosis can often be made through laboratory tests. The first is thyroid-stimulating hormone (TSH), which is generally below normal in hyperthyroidism and above normal in hypothyroidism. The other useful laboratory test is non-protein-bound thyroxine or free T4. Total and free triiodothyronine (T3) levels are less commonly used. Anti-thyroid autoantibodies can also be used, where elevated anti-thyroglobulin and anti-thyroid peroxidase antibodies are commonly found in hypothyroidism from Hashimoto's thyroiditis and TSH-receptor antibodies are found in hyperthyroidism caused by Graves' disease. Procedures such as ultrasound, biopsy and a radioiodine scanning and uptake study may also be used to help with the diagnosis. Treatment of thyroid disease varies based on the disorder. Levothyroxine is the mainstay of treatment for people with hypothyroidism, while people with hyperthyroidism caused by Graves' disease can be managed with iodine therapy, antithyroid medication, or surgical removal of the thyroid gland.Thyroid surgery may also be performed to remove a thyroid nodule or lobe for biopsy, or if there is a goiter that is unsightly or obstructs nearby structures. Hypothyroidism is a most common thyroid problem, which causes due to the production of less.Thyroid hormones. This problem is seen mostly in children and women of any age. Fatigue, muscle weakness, Skin dryness, less sweat, increase in body weight, Changes in menstrual patterns, hair loss, Forgetfulness, Constipation, Indigestion effect in children’s growth and increase of forgetfulness especially in aged people are the symptoms of Hypothyroidism. 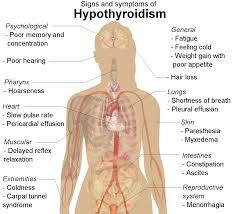 If the proportion of thyroid hormones is excess in the body, then it would lead to Hyperthyroidism. This problem may arise in people irrespective of their age. However, this is mostly seen in people between 20 to 40 years of age. If an individual delays in identifying this disease or ignores this, then the issues caused by Hypothyroidism are severe. Of all thyroid patients, Hypothyroidism is seen in 80% of patients and Hyperthyroidism is seen in remaining 20% of patients. Weight loss even after proper intake of food, Heart palpitations, difficulty sleeping (insomnia), increased sweating, Heat intolerance; diarrhea, emotionally intense frustration, Light menstrual periods, Muscle weakness, and other issues are some of the symptoms of Hyperthyroidism. 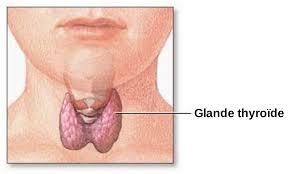 The abnormal swelling of thyroid gland present in the neck leads to Goiter problem. Mainly, the disease is caused because of the production of insufficient iodine, and this disease might include both the issues of Hyperthyroidism and Hypothyroidism. Though there is an adequate proportion of T3, T4 hormones in the body, there is still a possibility of Goiter disease. Visible swelling in the front of your neck–A tight feeling in your throat, difficulty in breathing and swallowing, change in voice, and in some individual’s symptoms of both Hyperthyroidism and Hypothyroidism are seen. Hypothyroidism is a state in which the body is not producing enough thyroid hormones, or is not able to respond to/utilize existing thyroid hormones properly. Possible symptoms of hypothyroidism can include: fatigue/low energy, unexplained weight gain, slow heart rate (bradycardia), sensitivity to cold temperatures, constipation, depressed mood, and/or memory difficulty. Hyperthyroidism is a state in which the body is producing too much thyroid hormone. Possible symptoms of hyperthyroidism can include difficulty sleeping (insomnia), anxiety/irritability, panic attacks, unexplained weight loss despite having a good appetite, fast heart rate (tachycardia) or palpitations, sensitivity to hot temperatures, increased bowel movements or diarrhea, tremors, excess sweating and/or warm skin. Note: certain symptoms and physical changes can be seen in both hypothyroid and hyperthyroid disorders—fatigue, fine/thinning hair, menstrual cycle irregularities, muscle weakness/aches (myalgia), and different forms of myxedema. Certain medications can have the unintended side effect of affecting thyroid function. While some medications can lead to significant hypothyroidism or hyperthyroidism and those at risk will need to be carefully monitored, some medications may affect thyroid hormone lab tests without causing any symptoms or clinical changes, and may not require treatment. 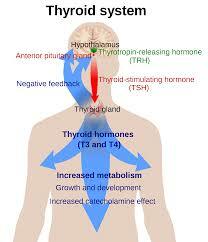 The thyroid depends on good nutrition to get the iodine selenium and vitamins it needs to function properly. Without the proper nutritive balance, the thyroid cannot do its job properly. Make time for nutrition. While it is not always the simplest thing to do, you will be doing you and your family a great service by making your own food and encouraging everyone in your family to follow a healthier diet. Processing in general, adds sugar to foods. This can worsen any thyroid problems. It takes a bit of practice and planning, but the closer you can get to cooking from scratch, the better. Using whole foods that have not been processed keeps most of their original vitamins minerals and other nutrients.One general rule of thumb is that if the food is too white, such as white bread, white rice, white pasta, it has been overly processed. Eat whole grain bread, brown rice and whole grain pasta instead. Increase the vegetables and fruits in your diet. Whenever possible, choose to eat local, seasonal, organic produce, the fresher the better. Don't worry too much about sourcing the vegetables. Any produce is better than no produce, even frozen fruits and vegetables can benefit your health. Try to eat less meat, particularly red meat. If you do eat meats, make sure any beef is lean (preferably grass-fed, since this has a more natural ratio of omega-3 and omega-6 fats), and any poultry is skinless. All meat you consume should be raised without hormones or antibiotics. Most meat will specify on the packaging that it is hormone-free. If it doesn’t specify that it's hormone-free, it’s probably not. Check the organic section for hormone-free meat options. Fish is good quality protein and often has high amounts of the healthy omega-3 fats. Fish is usually lean and can be fairly easy to prepare. Use caution when selecting fish. Fish that is high in mercury may be bad for your thyroid function. Legumes include foods like lentils and contain many of the vitamins and minerals needed by the thyroid to make thyroid hormone. They are also a good source of protein for individuals who have limited or given up meat consumption. To keep your sugar levels low, choose complex carbohydrates, such as whole grains. Avoid sugar and sugar substitutes. Simple sugar, either as granulated table sugar or as high fructose corn syrup, is much like an addictive drug.Try using the herb stevia as a sugar substitute if you have a hard time giving up sweets. Diabetic patients need to have their thyroid checked. Thyroid patients need to have their blood sugar monitored because comorbidities (people who have both diabetes and thyroid problems) are very common. Ask your doctor about other supplements. Speak with your healthcare provider about the advantages of supplementing with zinc and selenium, minerals necessary for proper thyroid function. Also, ask about supplementing with Vitamin D3 (2000 IU every day). Autoimmune disease is correlated with low Vitamin D levels. Always be sure to stay hydrated with water. It helps your body function properly and will keep you feeling healthy in general. Do you wonder how to prevent hypothyroidism? While no step can ensure you do not suffer thyroid disease, there are choices you can make that help.Thyroid disease affects as many as 59 million Americans, and many experts believe that the number of people affected is only going to rise further.The thyroid is your master gland of metabolism and energy, and problems with your thyroid affect everything from weight to mental health, to fertility, heart disease risk, and many other important aspects of your day-to-day health. When you get dental x-rays, or x-rays of the head, neck, or collarbone area, does the x-ray technician use a lead collar on your thyroid?Most likely, your answer is no.And that means, your thyroid is being needlessly exposed to radiation. The thyroid is particularly sensitive to radiation, and excessive radiation exposure is a known risk factor for various thyroid conditions.So, the next time you're getting an x-ray, ask for "the thyroid collar." It's a small collar that looks a bit like the neck part of a turtleneck sweater, and it's heavy and lined in lead. The dentist or technician can place it around your neck before x-rays are taken. Cigarette smoke has various toxins -- thiocyanate in particular - that are especially dangerous to the thyroid and can trigger thyroid disease in susceptible people. Cigarette smokers also are more likely to develop thyroid eye complications of Graves' disease, and treatments for those eye problems are less effective in smokers. So, in addition to all the other health problems related to smoking, you can add increased risk and worse of thyroid disease. Research has shown that levothyroxine treatment for people with Hashimoto's thyroiditis whose TSH level is still within the reference range can reduce—and even in some cases, prevent—the incidence of autoimmune disease progression. Soy is a food, but when you start down the "the more the better" route with the supposed "health food," you transform soy into a drug. Overconsumption of soy has been linked to increased risk of thyroid disease. In particular, the craze for soy powders, smoothies, soy patties, and options -everything from Revival Soy to Isoflavone pills -- has been problematic, as too much of these unnatural forms of soy may put a strain on your immune system and trigger thyroid problems in susceptible people. A Thyroid Super-NutrientAn inexpensive supplement may help prevent certain forms of thyroid disease. The mineral selenium can help prevent thyroiditis and some autoimmune hypothyroidism m conditions. Potassium iodide is an over-the-counter supplement that, when taken within hours after a nuclear accident -- or attack on nuclear facilities - may help protect the thyroid from risk of thyroid disease and thyroid cancer. After the Chernobyl accident, residents of Poland received mass distribution of this supplement in the time when the radioactive cloud was passing over them, while residents of the Ukraine and Russia did not. Subsequently, thyroid cancer and thyroid disease rates have skyrocketed in the unprotected areas, while Poland has had no similar increase in thyroid problems. Fluoride used to as a drug to treat hyperthyroidism, an overactive thyroid, because it makes the thyroid underactive quite effectively. This is why you need to be particularly careful in today's over-fluoridated world, where water supplies, plus toothpaste, plus dental rinses, and other treatments all want to put more fluoride into our systems.